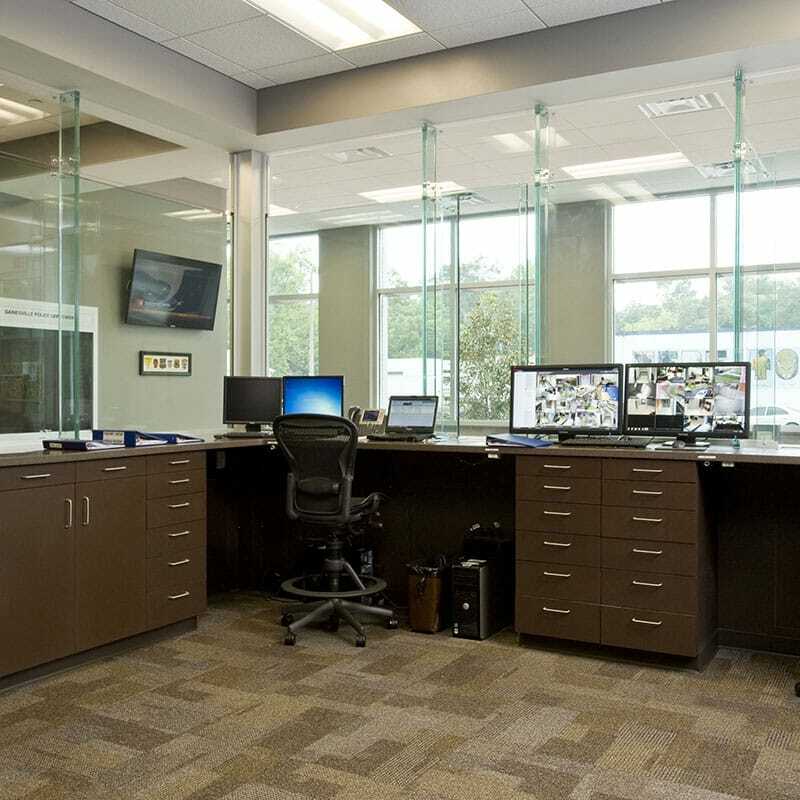 Gilbane delivers Design Build Gainesville Police Headquarters and Training Facility. 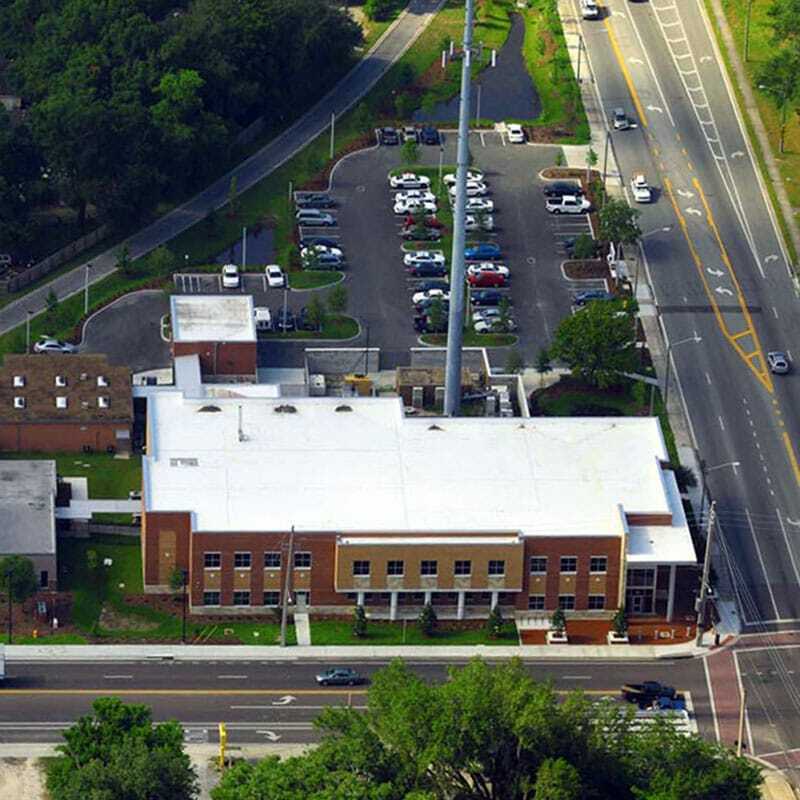 Gilbane was selected to provide design/build services for the construction of a new operations center and training facility at the existing site in downtown Gainesville. 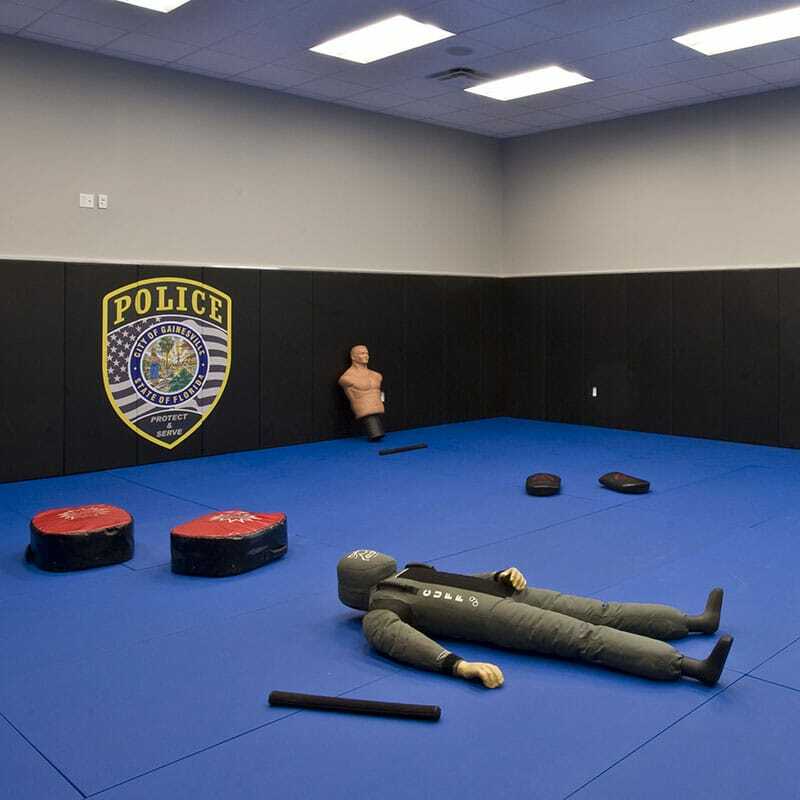 The new headquarters provided for the needs of a modern police facility including: community room, records, operations, investigations, forensics, command staff, Information/Technology and sally-port. In addition, the project included renovations to an existing building for a physical training facility that included a gymnasium, mat room and locker rooms. 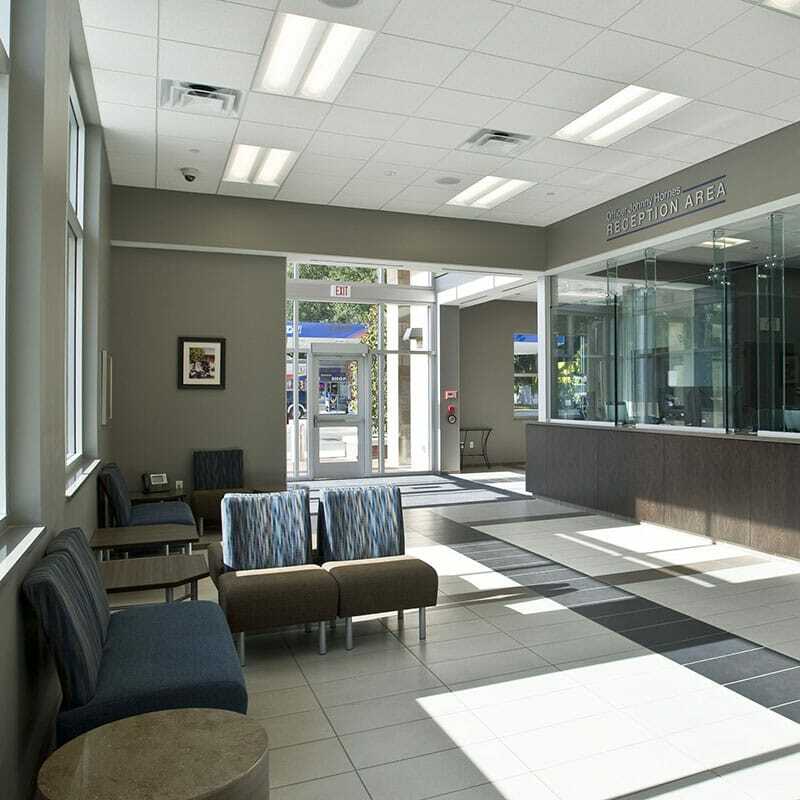 The design goal was to create a “Traditional City”, which reinforces the commitment to community policing and positive involvement in the surrounding neighborhoods that the Gainesville Police Department serves. The design created an inviting, vibrant and pedestrian-friendly streetscape, and the new building evokes a civic architecture, taking cues from the neighboring historic community. The project required close coordination with Police Department staff to keep all services operational while working around the existing police administration and evidence building and relocating the forensics trailer into the new facility. Gilbane Takes B.O.L.D. Steps to Build the Gainesville Police Headquarters and the local community they serve. The Gilbane project team learned about a local program started by Police Chief Tony Jones named B.O.L.D. (Brave Overt Leaders of Distinction), that focuses on at-risk males between the ages of 18 – 24 who are unemployed or underemployed, have not completed education, and are at risk for poverty and crime. The B.O.L.D. program is a diversion and rehabilitative program that focuses their efforts on serving these disadvantaged individuals in an attempt to intervene and effectively ensure their success for the chance to turn their lives around. The Gilbane team selected a candidate through an interview process in conjunction with the program director, and the candidate was paired with a local masonry contractor, Painter Masonry, in addition to supporting Gilbane staff on a wide variety of construction tasks on the project. This program provided a diverse learning experience of construction trades to mentor individuals to get back on track, offering job and vocational skills.